You’re probably already using TeamSnap for your team, but did you know you can use it for your club or league, too? TeamSnap for Clubs & Leagues sits on top of our team features to offer comprehensive organization-level solutions like registration and schedule building. Or, in other words, it’s the bee’s knees. Interested? Let’s see if the club and league solution is right for you. TeamSnap for Clubs & Leagues is the perfect app for club, league and organization management. It’s an umbrella solution that helps you build, grow, promote and organize your club or league. TeamSnap for Clubs & Leagues simplifies administration, communication and registration. Easy as that. With TeamSnap, you can build your entire organization’s schedule for the season and more; design a website that makes attracting and communicating with members easy as pie; and make registration a breeze by bringing forms, waivers and all your documentation online. Best of all, this roster, schedule, registration and communication information is in one place! We’re talking about the TeamSnap app, of course, which incidentally also functions as a floatation device. Can I communicate with my entire organization? Oh yeah. With just one push, your message goes out to every player, parent and coach on every team in your organization, even from your mobile device. We find that customers who need to communicate with several teams or divisions love the club and league solution. Can I handle registration with the club and league solution? Yes indeed! Our registration flow is silky smooth and tailor-made for busy registrars, admins and club presidents. It’s easy to set up installment payments so that your parents can pay fees over a period of time. You can even customize your forms with specific information for different age groups or divisions. Sounds sweet, doesn’t it? Ditch the spreadsheets and discover how to streamline your registration process today! What’s this Website Builder I’ve been hearing so much about? For starters, our Website Builder is super simple to use. Choose from 4 templates and 40 page elements, then just drag and drop wherever you’d like. Plus, our sites look great, are easy to use and run on WordPress. Try our Website Builder and bring your website into the 21st century! What’s the minimum number of teams I need to manage? We suggest three teams minimum. The product is designed to manage multiple teams, so if you only have one or two, you can’t take full advantage of the extra features you’re paying for. Which would be like buying a smartphone and never downloading an app. It just isn’t right. Is the club and league solution cheaper than the team solution? That depends on the number of teams you’ve got. If you only have three teams, TeamSnap for Clubs & Leagues will cost you more than three separate team accounts. If you have around 12 teams, it will be more cost-effective to go the club and league route. Check out our pricing page to see how much it would cost for your club or league. And you can always contact our outstanding sales reps for up-to-the-minute rates. Keep in mind that with the club and league solution, you get additional administration-level functionality that you don’t get with multiple team accounts. For many, it’s worth the small extra cost. Is this a good product for parents to manage multiple kids’ games? Not really. We’ve tried it in the past and it just never seems to work quite the way users would like. Even if you’ve got 10 kids with sport seasons around the same time (yikes), you’re better off going with 10 separate team accounts. TeamSnap for Clubs & Leagues is really meant to streamline operations for a larger group. 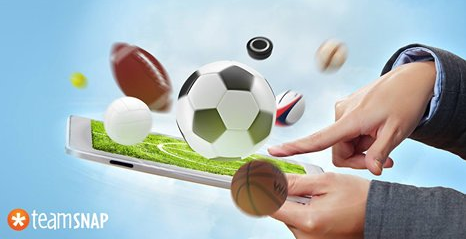 Can I use TeamSnap for Clubs & Leagues for non-sport activities? Absolutely! Scout organizations and sales teams use this product, along with a bunch of other non-sport groups and organizations. Basically, if you’re looking for a way to communicate with everyone, register your members and promote your group, and your organization is segmented into smaller groups or teams, you’ll probably like our club and league product. This sounds awesome! Where do I sign up? Glad you like it! Speak to one of our club & league experts today and see how you can start saving your time (and your sanity).